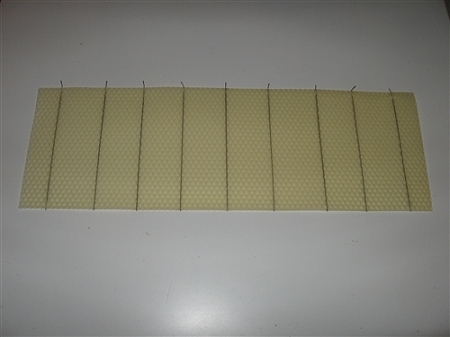 Crimped-Wire Medium 100% Beeswax Foundation with hooks for using with Wooden Wedge Top Bar Frames for use in Langstroth hives. If used for honey frames to be extracted, foundation should be wired or support pins used. Shipping wax foundation in cold temps. is not recommended as foundation is very brittle when cold.